Is the Catholic Faith at war with Science? Quite the opposite. A true Catholic loves science - it's scientists fabricating that science contradicts the faith, when in fact science proves the faith ever more day by day. This brilliant work by eminent scientist and president of Cork College Dr. Windle proves that the Catholic Faith is intelligent, enlightened and forward-thinking, the very cause of social progress. For example, how can the Bible's account of Creation be true when the universe is millions of years old? 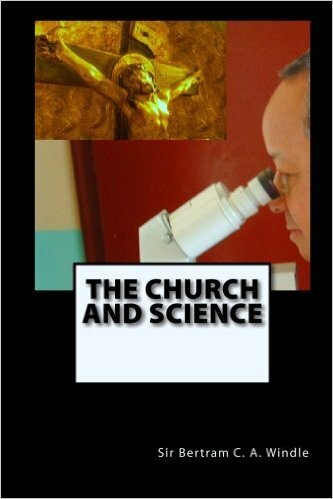 So much did the Traditional Church support the sciences, that not only did the British Catholic Truth Society originally publish this book but Cardinal Gasquet encouraged its publication by putting his name to the dedication. Step by step, the big issues like natural selection are encountered and turned on their head as showing support for the Holy Scriptures. Sir Windle's brilliant work will leave you firmly planted in the modern world, armed with arguments for 'science atheists' and thoroughly proud to be a Catholic today!